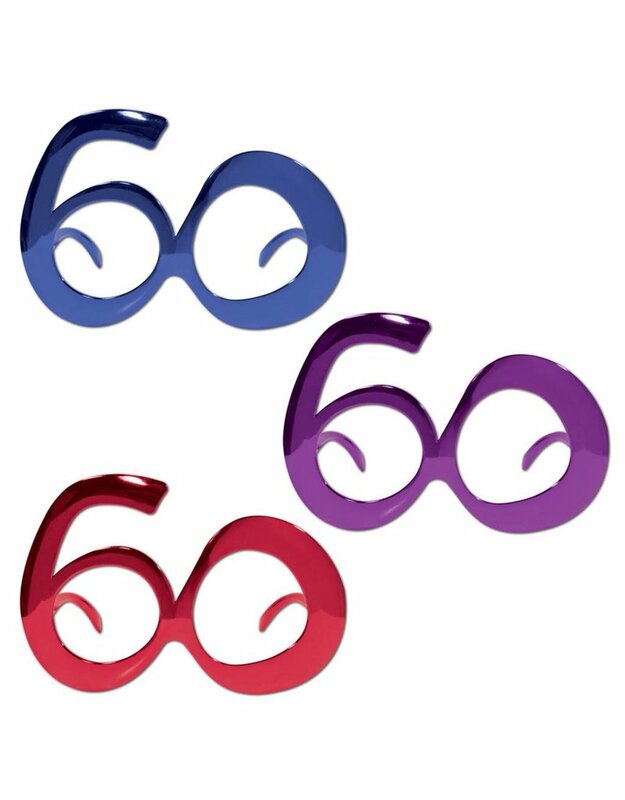 '60' Novelty Glasses. Assorted colors. One size fits most. Have fun and show off your age!